Gov. Jerry Brown signed a bill on Wednesday that will raise the legal smoking age limit in California from 18 to 21. The bill also prohibits the sale or use of electronic cigarettes for anyone under 21 and will take effect on June 9. The legal age to buy medical marijuana is still 18. American River College Associated Student Body Student Senate president David Hylton said he use to smoke for about ten years and doesn’t understand why the state would raise the smoking age limit. ARC Sen. Laurie Jones has never smoked and praised the bill for its aim at protecting teenagers from smoking. Jones also agrees with Hylton that the law won’t prevent people from smoking. Public information officer Scott Crow said that the school will still continue to work with health services and provide smoking cessation information. Crow added that the bill won’t affect what the school had already been doing. ARC became a smoke, tobacco and vapor-free campus on Jan 1 of this year. 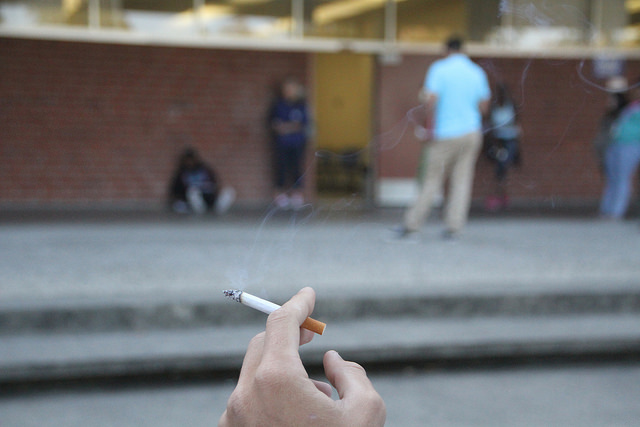 Be the first to comment on "California raises legal smoking age to 21"